The world’s longest consecutive Electronic Dance Music festival is finally arriving in the United States. The creators are ID&T who also created TomorrowLand and Sensation White. The festival is taking place from May 23rd to May 26th of next year. That is Memorial Day Weekend if you didn’t know. 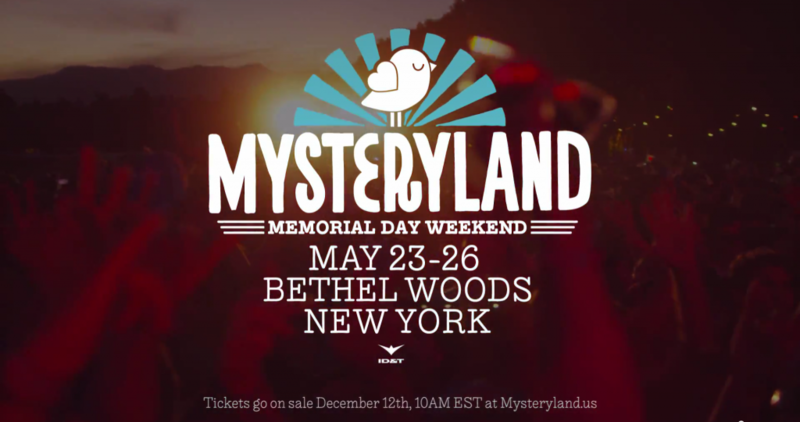 The festival is taking place at Bethel Woods, New York aka the location of the original Woodstock in ’69. Pre-Sale 3 Day tickets Starting at $109! The exclusive Pre-Sale ticketing will begin on December 11th at 10am (EST) if you register at this link. General On Sale ticketing will begin on December 12th at 10am (EST).